One of the most challenging things about being an Artistic Director is trying to ensure that each season of work offers something for everyone, whilst still somehow embodying the particular vision for the theatre that everyone working within it is striving towards. This spring I think – I hope – we’ve met that challenge with four radically different but equally important and exciting home-grown shows. Our first piece of produced work is a real departure for Clwyd – both literally and metaphorically! We’re heading out of the building and down into Mold (our nearest town), where we’ll be taking over a hotel that’s in the process of being refurbished and turning it into the heady, jazz-filled, cocktail-soaked world of The Great Gatsby. Audiences can choose to sit at the bar sipping champagne as the action takes place around them or the more adventurous can follow F Scott Fitzgerald’s beautiful yet flawed characters as they lure us into the maze of rooms above. This particular Gatsby is the brainchild of adaptor and director Alexander Wright and his company The Guild of Misrule, with an exciting new design for our Clwyd version by up and coming Welsh designer Heledd Rees. Part of our mission at Theatr Clwyd is to ensure that we are nurturing and supporting emerging talent and young companies, just as we did in our co-production of Sinners Club with Gagglebabble and The Other Room, and working with Alex and Heledd is part of that. We are also, through TYFU, our artists’ development programme, offering support to Nova Theatre who are exploring a translator role in their next production to allow them to tour internationally, Cymru:Brasil with a new piece for family audiences that explores Brazilian and Welsh culture using digital mapping, dance and music, and Jane Sutcliffe in developing a solo piece of physical theatre entitled The Psalm of Her Hand. 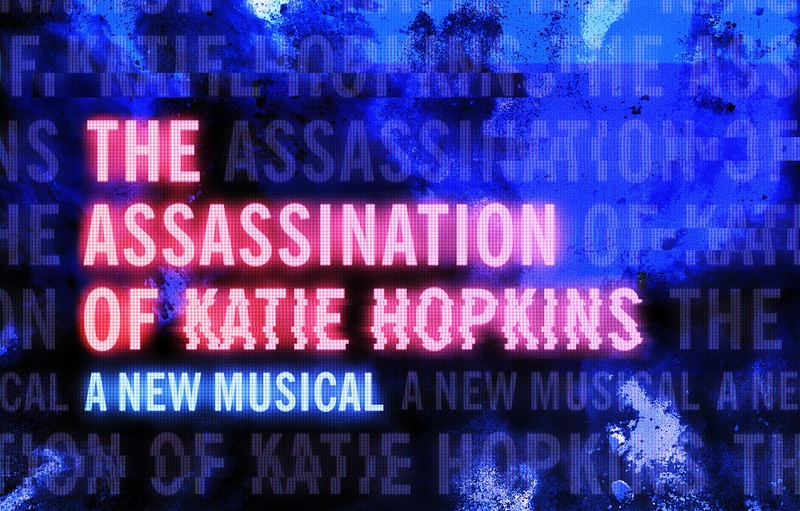 Next up in our produced season is the world première of The Assassination of Katie Hopkins by Chris Bush and Matt Winkworth. This fiercely satirical, wittily political piece is a bold look at the world we live in, asking unswerving questions about free speech, the cult of celebrity and the compelling yet dangerous world of social media. It is vital that new writing for musical theatre is supported and championed in our industry, and we’re particularly excited that this combines an emerging writing team with a highly experienced director in James Grieve (below) and one of the foremost musical supervisors and orchestrators of our time in David White (who is also a local boy – born and bred in Wrexham). In May, we have Tennessee Williams’ breathtaking classic, A Streetcar Named Desire (cue impersonations of Marlon Brando crying ‘Stellaaa!!’). This brand new production will be helmed by up and coming director Chelsea Walker who will be reimagining the steamy world of New Orleans as her prize for having won the prestigious Sir Peter Hall Director Award. I have always loved Tennessee Williams’ writing – the UK première of his penultimate play, Something Cloudy, Something Clear, was one of the first shows I directed professionally – and a quote from an interview he gave just before the original production of that play in 1981 has always stayed with me. By this point in his life, this giant of 20th century theatre had been abandoned by audience and critics alike, his later plays dismissed as meagre pickings in comparison to his earlier successes (Streetcar, Cat on a Hot Tin Roof, The Glass Menagerie…). In the interview, he’s asked how he copes with his ‘decline in popularity’. He responds, “I keep writing. I am sometimes pleased with what I do – for me, that’s enough.” Which has always felt to me like a wonderful mantra to live by as an artist. We can get so caught up in the pursuit of accolades, whether from colleagues, from audiences, from critics, from awards – sometimes it’s important to remember that the act of creating must be at the heart of what we do, that first and foremost, we should look to our own instincts and that it’s ok, indeed vital on occasion, to fail. In the summer, we end the season with another world première, this time from the sparkling pen of playwright Laura Wade. 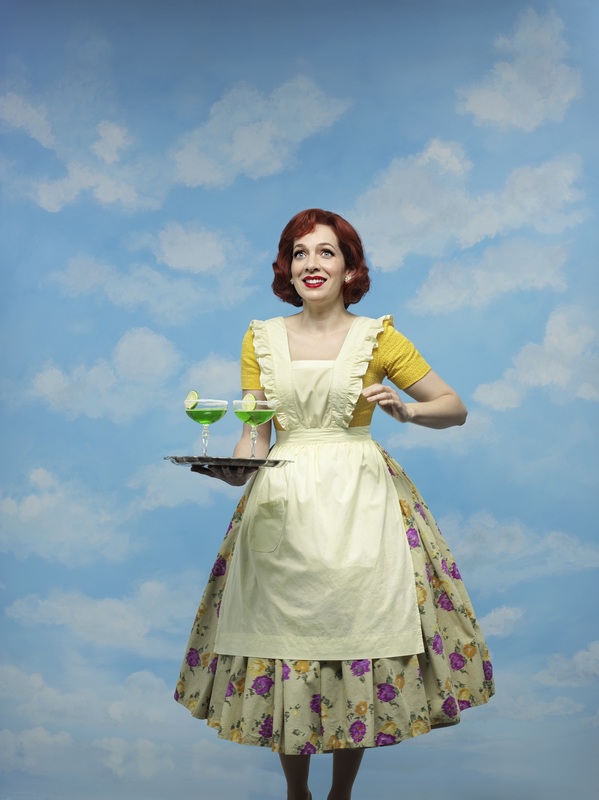 Home, I’m Darling is a project particularly close to my heart – Laura and I have been best friends since university and have developed this play together with actress Katherine Parkinson, who plays a woman striving to be the perfect 1950s housewife, no matter what the modern world throws at her. 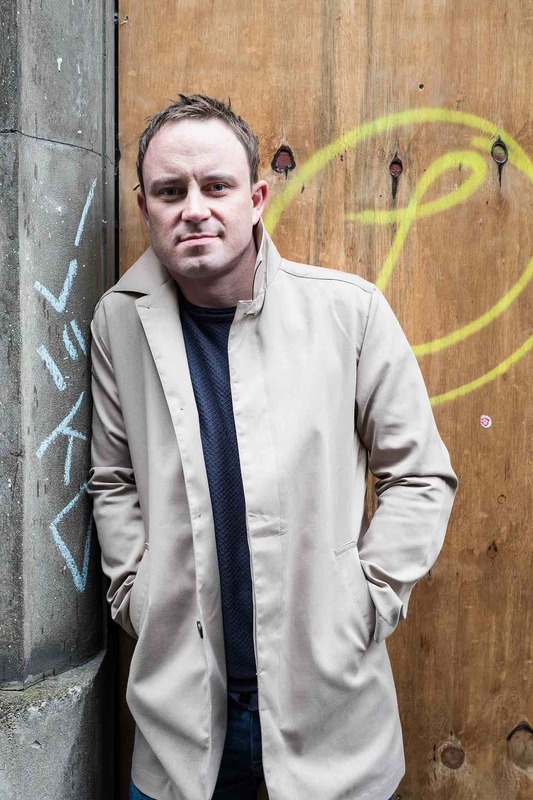 We’ve got the brilliant Richard Harrington playing her husband and we’re co-producing with the National Theatre of Great Britain. I’m hugely proud that it’s the first time an NT co-production will have opened in the theatre of the regional partner rather than on the South Bank – come see it at Clwyd first! I was asked, in this piece, to focus on our shows but often the most exhilarating thing about Theatr Clwyd is the extraordinary diversity of what goes on within and without our building. This spring we’ll continue working with our new community companies, Company 25 (for 17-25 year olds) and Company 55 (for the over 55s), as well as bringing our new young Welsh language company into the building from the local schools where we’ve been offering taster sessions. Our award-winning project for those with dementia, Arts from the Armchair, will keep giving referred patients and their carers the chance to build new memories every week, working with visiting creatives and our own making teams in the building. We’ve got two projects going out into the community, Justice In A Day (looking at criminal justice with young people) and Sparky (encouraging children to engage with science, engineering and maths in a creative way). Our visiting programme offers our audiences a huge range of work, from the National Dance Company of Wales to Filter Theatre’s riotous version of A Midsummer Night’s Dream and the phenomenon that is The Play That Goes Wrong. Our cinema continues to thrive, with new releases, Welsh language and independent films, a Saturday morning family film club and regular dementia screenings. Our three gallery spaces are filled with paintings, sculpture and photographs from professional, community and young artists, and we have myriad local groups and businesses using our café, bar and event spaces day and night. So what am I looking forward to most? Luckily this spring that’s an easy one to answer. In a couple of weeks my husband and I are expecting our second child. Sometimes it feels like being Artistic Director of one of Wales’ most exciting and important theatres and being a mum at the same time is an impossible task. But maybe I just need to hold onto my own version of Tennessee Williams’ words… I keep trying. Sometimes I am pleased.